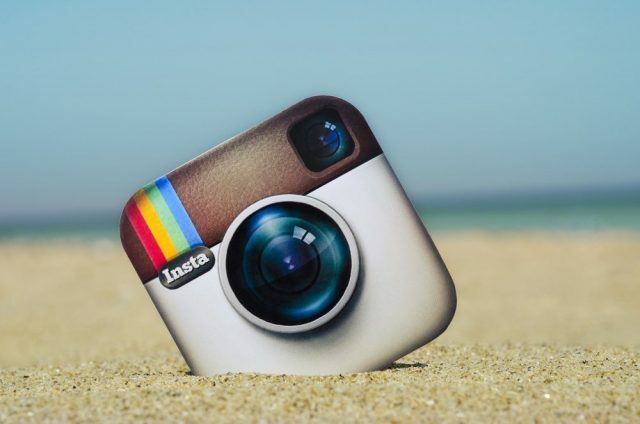 Instagram is a formidable social media network for tourism brands and Destination Marketing Organisations (DMOs). With over 700 million monthly active users on Instagram, it’s over double the monthly active users of Twitter and three times as much for monthly active users on WhatsApp and Facebook Messenger. For sure, there’s an appetite in tourism marketing and social-media travellers to use Instagram to share beautiful photos and engaging videos. Plus, more and more brands and DMOs are making the transition to an Instagram Business profile, this ensures your contact information is more prominent and you can access meaningful analytical data. 1. Add location – your tourism brand must aim to add a location to each Instagram image, research by Social Media Today found 48% users rely on Instagram for a new travel destination and 35% to discover a new place, so remember to use the geo-tagging feature. 2. Targeted hashtags – use correct hashtags, both general and unique (e.g. community based ones) and when 7 out of 10 hashtags are branded, it’s self-evident that these help content discovery and drive conversation; each topic allows up to 30 hashtags but the optimum number suggested is 11. 3. Real photos – potential travellers like to see ‘real’ photos of an iconic vista taken by family, friends, tourists and bloggers, they want to feel inspired by a potential new travel location from a genuine source. 4. Captions and filters – ensure your captions are detailed, including travel tips that are practical and useful; don’t forget to include a relevant emoji too; plus consider using Clarendon – the most all-purpose Instagram popular filter – it brightens, highlights and intensifies shadows. 5. User-generated – there are huge feeds of content for locations which include where to eat, drink, places of interest, best sunsets yet the most engaging are from ‘real’ people, these can be both residents and visitors – direct advice from authentic ambassadors. 6. Personalisation – if you personalise the travel experience, the more people will want to connect to your brand, for example the inflight magazine iFly by KLM airlines share different stories to different travellers based in the destination they are going to and what level they are within KLM’s loyalty programme. 7. Facebook collaboration – if you use Facebook’s Ad Manager you can create an Instagram tourism campaign that have specific targeting settings profiled by the audience you need to reach, this could be particularly useful when attracting visitors to attend tourism events. 8. Trusted content – many tourism brands are using local freelancers to post credible content, local people who live in the area know instinctively where to go, where to avoid and what stories will inspire and encourage potential travellers to visit, it truly humanises the brand. 9. Videos – today travel is more affordable, so make it more accessible and engaging by creating short video ads up to 60 seconds, this work really well for live events, they may cost more than a photo ad but they are effective in securing higher engagement rates and don’t forget to add travel related captions too. 10. When to post – a survey by Sproutsocial found Monday to Friday were by far the best days to post to maximize engagement and most recommended times to post include 2 a.m., 8.a.m. and 5 p.m. Remember when you run your Instagram tourism marketing campaigns consider it an opportunity to learn even more about the destination, capture those fresh insights that resonate with tourists to improve your DMO reach and engagement goals. We’re interested in your thoughts on Instagram tourism marketing, have your say on Twitter or comment below. This entry was posted in alexandrapatrick, Maria Callow, Marketing Campaigns, Social Media, top ten tips and tagged Instagram, Instagram Tourism Marketing, Social Media Markeiting, Travel and Tourism. Bookmark the permalink. ← What is brand strategy and how to develop one?